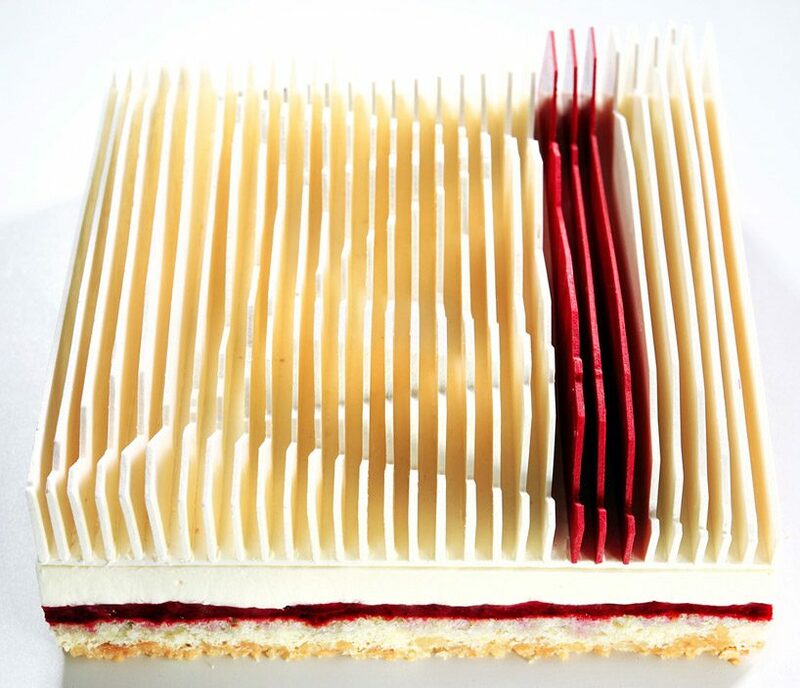 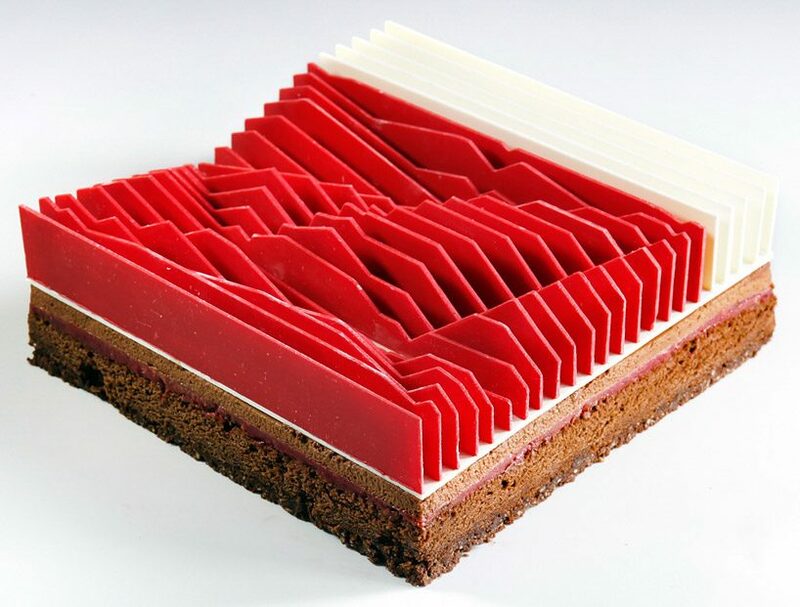 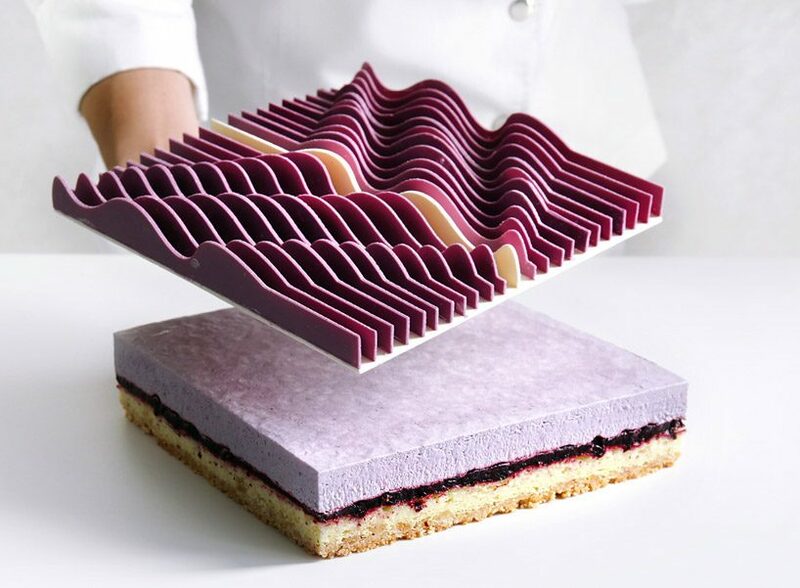 ukrainian pastry chef dinara kasko in collaboration with various artists of all disciplines have innovated a unique baking technique using mathematical algorithms and 3D printing. 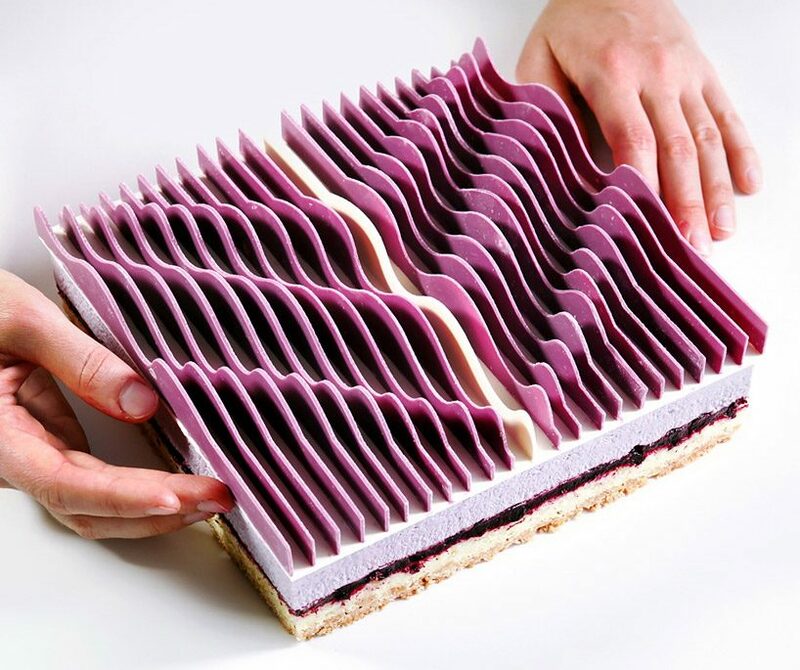 she begins by printing 3D moulds of using a state-of-the-art modeling software which simulates interaction of objects in space, while taking into account variables like shapes, material properties and gravity. 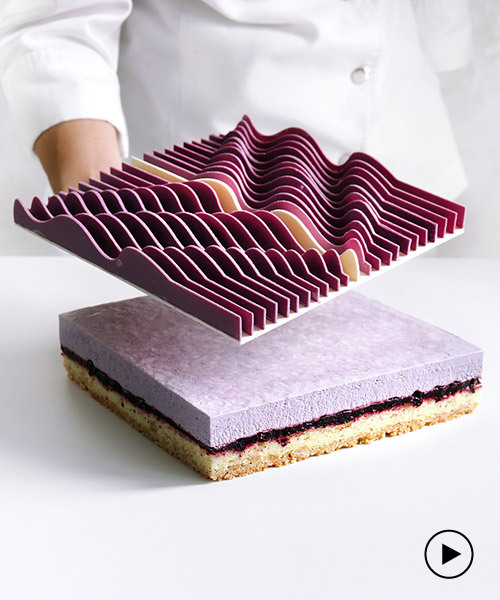 in her latest collaboration, kasko works with miami-based artist jose margulis whose experience using 3d printed volumetric geometries has helped develop her distinctive kinetic tart designs. 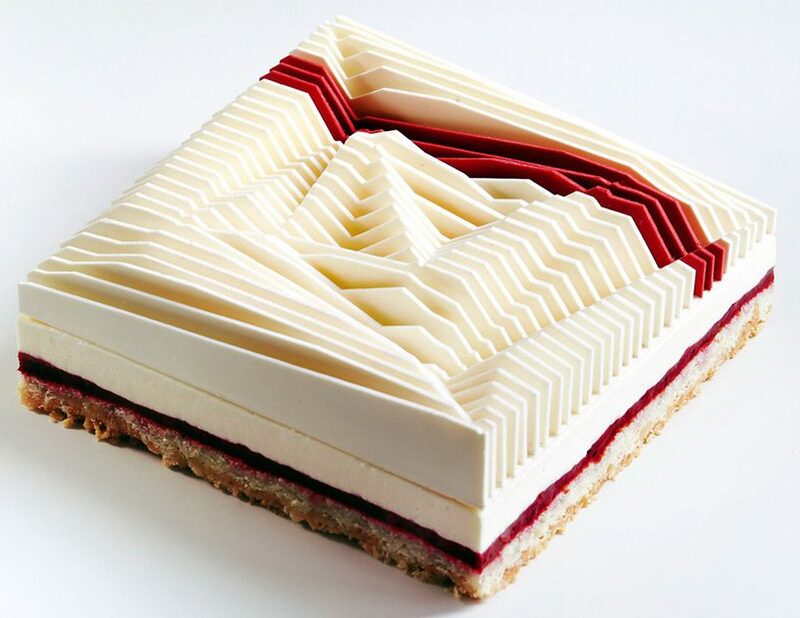 ‘I tried to transform his creations, made of plastic, aluminum and acrylic, into something edible, using basic techniques and ingredients,’ explains kasko. 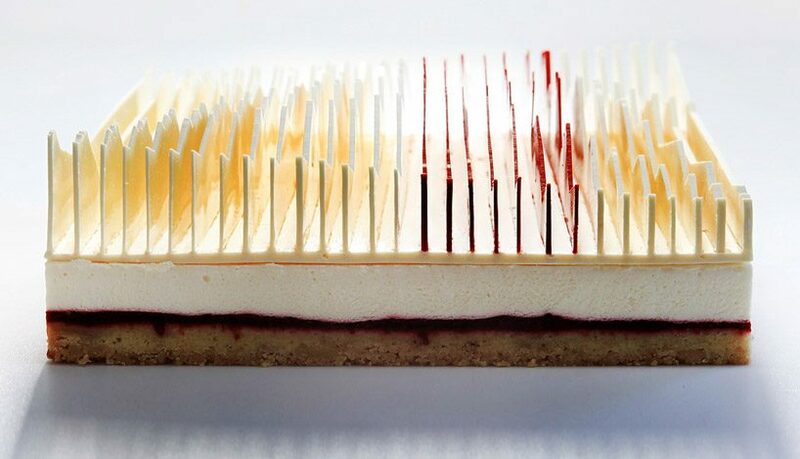 ‘it had to be an installation-performance where the art was created by josé and then transformed by me into an edible piece of art which would be later consumed.’ the artists aim to create a culinary experience as much as a visual one, leaving a long and lasting impression.